Automotive lockout services in Easton PA is our first priority, as it is the fastest lockout service we provide. 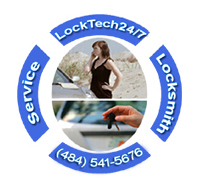 LockTech24/7 in Easton PA is quickest car lockout service in the city of Easton and suburbs. We are mobile locksmiths, and we serve the entire Easton and Metropolitan area. As we’re local to Easton, we serve Palmer and Wilson, as wells as Tatamy and Martins Creek. Concerning fast auto lockout services, we have all the tools to unlock your auto door with no damage. When you need professional locksmith services, we are your best option. Auto Lockout Specialists at LockTech24/7 can help you whenever you need to unlock the door of your car or your truck. Don’t let a minor auto lockout incident to ruin your day. For one thing we can assure you, we will be there fast as we can. Car locksmiths in Easton PA needed in a daily basis. Not only you can lock yourself out of your car, or your trunk, but you can also be locked out because you key broke inside a door lock. On the other hand, you can simply lose your only car key without been able to unlock your car door. Whatever the reason you’re locked out right now, you shouldn’t worry because we can unlock your car, hassle free. We’re automotive locksmith specialists, providing 24-7 auto lockout services in Easton, Bethlehem, and Allentown PA, Our locksmiths can unlock a door of any vehicle, no matter year, bran, or model. When you need emergency auto locksmith, you may call us because we’re the fastest locksmith company in the Lehigh region of Eastern Pennsylvania. We drive full equipped mobile locksmith shop with all automotive lockout tools to unlock your car with a fairly time manner and damage free. Don’t let a car lockout situation to get you out of balance! It happen to so many people across the U.S, including professional locksmiths. Q: I forgot my keys in the car, are you able to open my car? A: Yes, absolutely! We can open any car regardless to year, brand, and model. Q: I locked the keys in my trunk, can you help me? A: Yes! In most cases, we will be able to unlock your trunk and retrieve the locked key for you. In other cases, we can make a vallet key to unlock your trunk. Q: I own BMW and I locked the key inside. Can you open BMW? A: Yes. We can unlock BMW, as well as Mercedes Benz, VW, Jaguar, or any sport car. Q: My key broke inside the door lock, and I’m locked out. Can you extract the broken key and make a new key to my car? A: Yes, we can try to remove the broken key out of your door. In addition, our locksmith will also cut and program a new key to your car. Q: Can I submit your receipt to my insurance company, in order to get reimbursed? A: Absolutely yes! Not just we work with several roadside assistance services and insurance company, but all companies recognize LockTech24/7 as an automotive lockout service provider. Q: How long until you get here? A: We can be with you within 20 minutes after you first called us. This is our ETA in every city and town in the Lehigh Valley, PA.